Join the Delphi Trio as they collaborate with a local young artist as a culmination concert of the Delphi Emerging Artist Program. Prizewinners at the 2015 Orlando International Chamber Music Competition in the Netherlands, Delphi has appeared throughout the USA, Canada, Germany, and the Netherlands. Upcoming highlights include performances throughout California, New York, Vermont, Mississippi, Illinois, Oregon Washington D.C., concertos with the San Jose Chamber Orchestra and the Oakland Symphony, and the premiere of a forthcoming commissioned work by William Bolcom, written for Delphi. 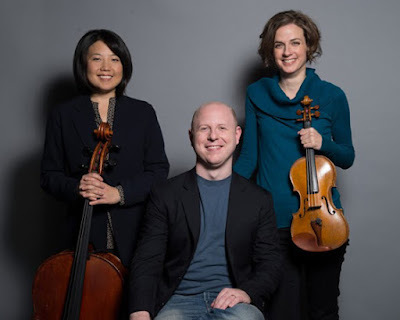 Each member of the Delphi Trio maintains a busy schedule of solo, concerto, and chamber music performances, having collaborated with artists such as Robert Mann, Anthony Marwood, and Menahem Pressler. Program at the San Francisco Conservatory of Music.